A multidisciplinary team from the University of Granada has developed software that can make it easier to identify potential pancreatic cancer biomarkers and thereby achieve earlier diagnosis of the disease. Pancreatic cancer can be diagnosed using biomarkers which, in this case, are differentially expressed genes indicative of this illness. However, medical professionals currently face two problems when attempting to diagnose pancreatic cancer early and efficiently. Firstly, a patient's genetic expression data can be collected using several platforms such as Affymetrix or Illumina, but this heterogeneous data, despite possibly containing important information about potential cancer biomarkers, can be hard to analyse. Secondly, 80 percent of patients already have locally advanced or metastatic disease at the time of diagnosis, due to the absence of reliable biomarkers which could help to detect the illness at an earlier stage. The UGR researchers behind the study, which set out to address these problems, therefore explain that: "All improvements aimed at identifying new biomarkers of this illness are essential if we are to diagnose cancer earlier and improve the prognosis of patients." The study, led by UGR scientists Ignacio Rojas Ruiz, Octavio Caba Pérez and José Carlos Prados Salazar and published in the journal PLOS ONE, is indeed a step towards solving these issues. The new software developed as part of the study integrates patients' genetic data from different microarray platforms and sorts through them to identify pancreatic cancer biomarkers, especially those which are new, sensitive and specific. The sensitivity and specificity of a biomarker refers to the level of accuracy with which it indicates pancreatic cancer; the more sensitive and specific a biomarker is, the more likely it is to indicate pancreatic cancer, as opposed to other illnesses. Several studies have already succeeded in establishing more specific and sensitive biomarkers, but the process of identifying them is made more complex than it could be. The complications stem from the fact that there is currently an overwhelming number of sample preparation processes, labelling methods and different microarray platforms in use, which often leads to signal values that vary greatly. This variation in turn means that potentially life-saving information gets "lost in translation". Seeing as integrative systems–like the one developed by the UGR–help to remedy this problem, they could become fundamental tools for ensuring earlier, more efficient diagnosis of pancreatic cancer. In fact, thanks to this new integrative software, the researchers have not only identified 5 commonly expressed potential biomarkers of the illness, but also 28 novel or "gained" genes which are only differentially expressed in the meta-analysis, but not in the individual studies. This is because these genes–currently under analysis–show consistent expression patterns indicative of pancreatic cancer only when several datasets are integrated. Using some of the new potential biomarkers would also be an improvement on the status quo, since the only biomarker currently in routine clinical use was recently found to be an unreliable diagnostic tool due to its limited sensitivity and specificity. 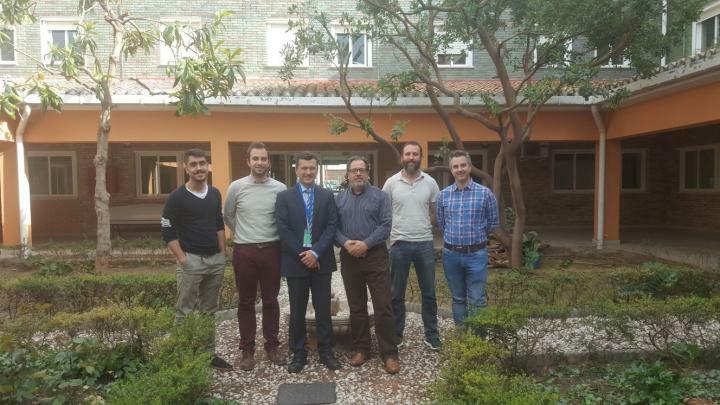 The researchers who conducted the study are from the Departments of Computer Architecture and Technology as well as Human Anatomy and Embryology, and collaborated with the Spanish Cooperative Group for Gastrointestinal Tumour Therapy (TTD) in order to carry out the project.